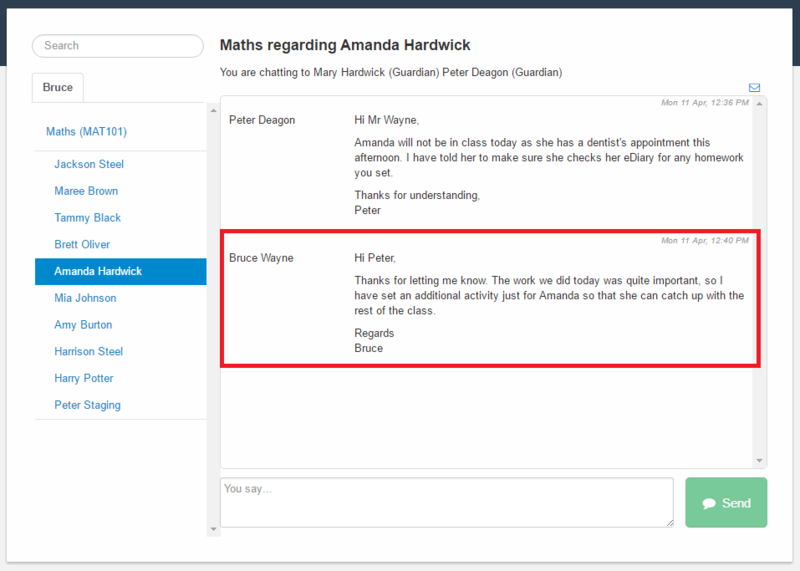 How can I send a message to a parent or guardian? 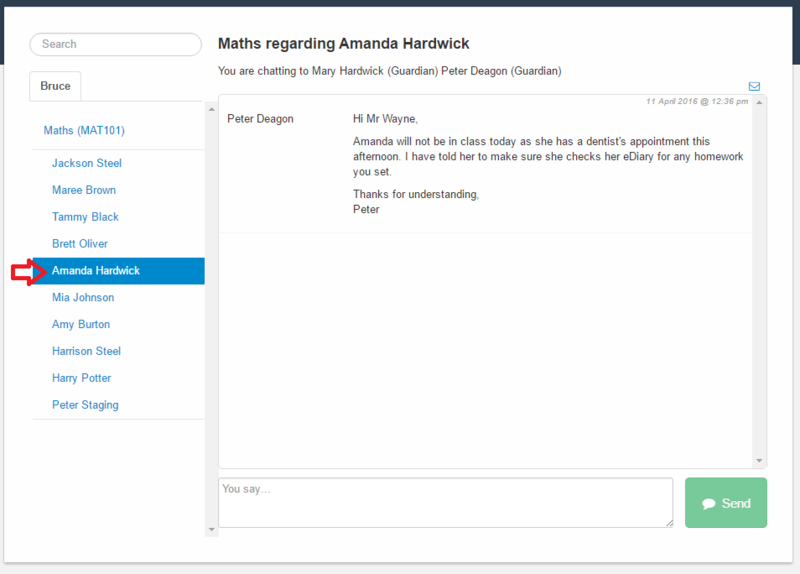 School staff can send a message direct to a child's parent or guardian using the eDiary. The system operates like an instant messaging service. Please note, this system may be turned off by your school. Please contact us to check if you have any issues in sending a message. 1. From your staff dashboard in the eDiary, select Messages. 2. 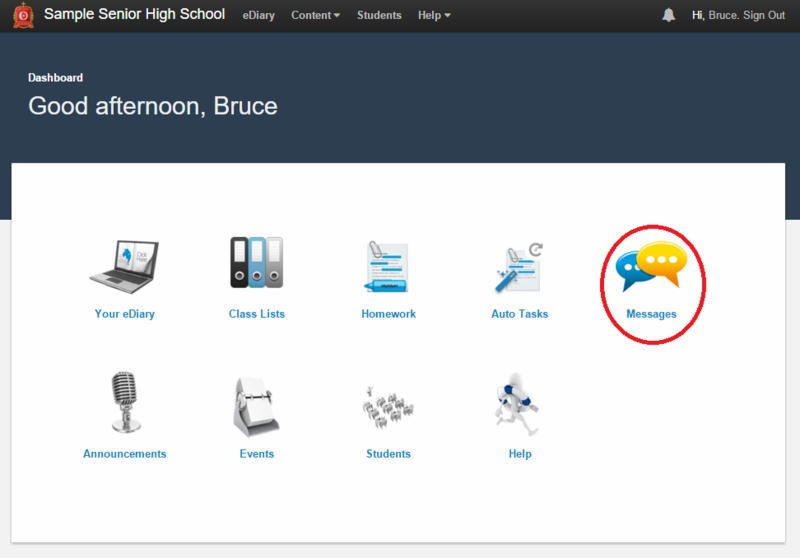 Select the subject of the student concerned and then click on the name of the student. 3. This will now bring up a history of any previous messages that have been sent between the 2 parties. Type the message you would like to send in the box at the bottom of the message area, then click the green Send button. 4. The message will now appear in the top box, as indicated below. The message will also be directly emailed to the parent/guardian, in case they are not logged into the eDiary. They will be able to respond to the message either through the eDiary or via email. You will receive notification via email if a response to your message is sent.